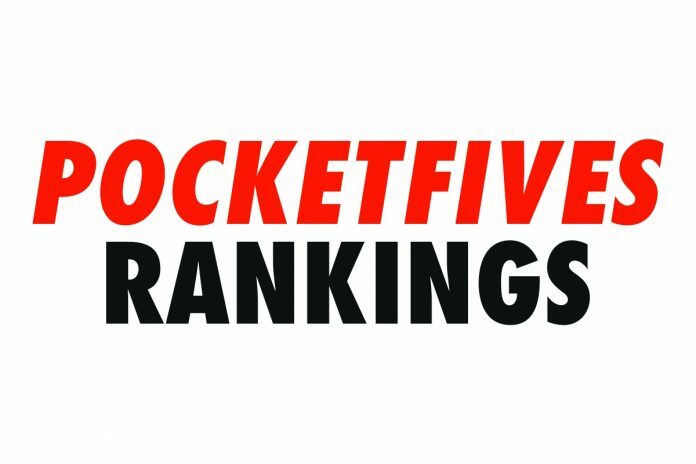 PokerStars SCOOP and partypoker Powerfest offered ROW players numerous opportunities to pick up PLB points for the May PocketFives Leaderboard. The best players in the world took advantage of the chances given to them and earned points along with hundreds of thousands of dollars for their time. ‘lena900’ did the most lifting in May with 7,135.57 points to their name by the time Memorial Day weekend wrapped up. The #1 ranked player in the world won a SCOOP event (39-H: $1,050 NLO8 [6-Max], $175K Gtd) and Powerfest MTT (#53-SHR: $2M Gtd [Championship Event – PKO]) in the same week to cap off a fantastic few weeks of grinding. The $430,047 Powerfest Main Event win is the largest score for ‘lena900’ in their esteemed career. ‘lena900’ now ranks #7 on the all-time money list with $10.979 million in cashes. Current ROW #3 Roman ‘romeopro’ Romanovsky pulled off the incredible by winning two SCOOP titles in a single-week to open the series. The Ukranian masher won Event #16 6-Max $5,200 NLHE Turbo for $138,536 and Event #2 $1,050 8-Max for $123,395 to boost his surge up the rankings. In between the victories, Romanovsky earned a silver medal in the SCOOP $25,000 High Roller to earn a personal-record for best cash by taking home $442,299. At a new all-time high is Michael Chi ‘mczhang’ Zhang, who notched three monumental scores. Zhang shipped the SCOOP Event #21 ($2,100 Six-Max Shootout) and took second in the SCOOP #37 ($215 8-Max Mini Super Tuesday) a few days later. The month capped off with a fifth-place run in the $25,500 Powerfest Championship Event. Zhang placed sixth and added $212,100 to his growing bankroll. The Brazilian contingent made their presence known via Joao ‘joaosimaobh’ Simao. The former PocketFives #1 struck gold in the SCOOP #48 $2,100 PLO Win the Button worth 726.64 points along with the Powerfest #54 PLO High Roller for 312.25 more. Another former #1 to hit it huge was Chris ‘BigHuni’ Hunichen. The #4 ranked all-time earner on PocketFives added $618,944 to his winnings in the SCOOP $10,000 Main Event. Hunichen placed third out of 654 runners to claim the prize. Thomas ‘Dattebayo’ Muhlocker did himself plenty of favors by climbing the ladder to sixth place in the SCOOP Main Event. The result provided Muhlocker with 872.77 PLB points. Muhlocker also won two Powerfest events on the same day to earn over $93,000 combined. Russia is on the PLB rankings board thanks to ‘hellohellohello.’ They claimed a bronze medal in Powerfest and a few final table finishes in SCOOP. The volume equaled 4,017.70 points on the month. ‘hellohellohello’ placed sixth and 10th in the SCOOP 14 (8-Max High Roller) Medium and High variations, respectively. Jonathan ‘proudflop’ Proudfoot shipped the 888poker $1 million guaranteed XL Inferno Main Event. The win was $209,779 and 1,076.57 points to boost his name up the list. Proudfoot also bagged a second-place finish in SCOOP #40 ($5,200 8-Max High Roller) and added 752.24 more points. The top-10 is concluded by Andres ‘probirs’ Nemeth. The Hungarian climbed the mountain in the prestigious SCOOP $25,000 High Roller and was awarded $576,087 for his troubles. Nemeth earned his third career SCOOP title with the win.